OPERATING ERA: 1923 to 1940's. 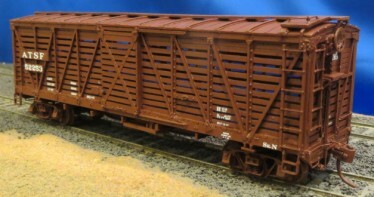 This is an Sk-O Convertible Double Deck Stock Car for AT&SF. This car was built by Pullman in 1923 and had K brakes until rebuilt with AB brakes in the early 1940's.